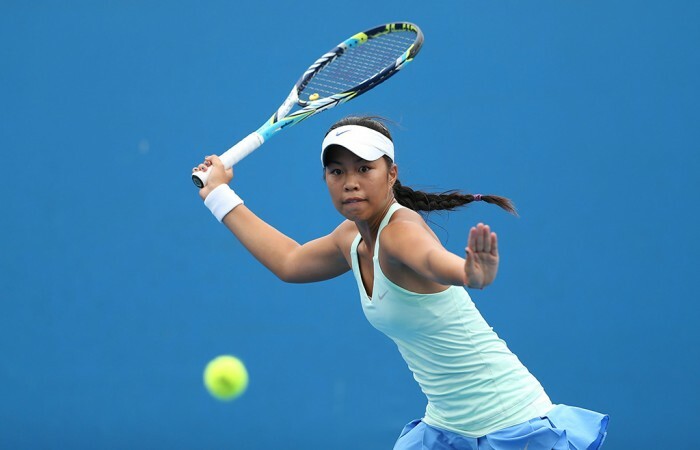 With her stunning defeat of No.3 seed Anett Kontaveit on Wednesday in Guangzhou, Australian teen Lizette Cabrera moves through to her first WTA quarterfinal. Lizette Cabrera has stunned third seed Anett Kontaveit to advance to her first career WTA quarterfinal in Guangzhou. The 19-year-old from Queensland, ranked 153rd, beat the Estonian 6-0 7-5 to achieve the biggest result of her burgeoning career. 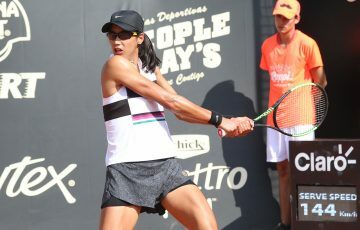 Cabrera qualified for the main draw, and with her victory over the world No.31 has now won four consecutive matches at the Chinese hardcourt tournament. She’ll next face Evgeniya Rodina, a 6-1 6-2 victor over China’s Wang Yafan. 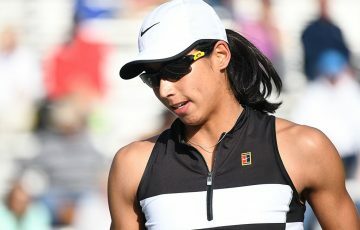 Cabrera displayed aggressive instincts against her error-prone opponent building a 6-0 4-1 lead in quick time as Kontaveit struggled to hang in the baseline rallies for any length of time. Yet the Estonian, a three-time finalists on the WTA tour this year (winning in ‘s-Hertogenbosch), found her rhythm and tightened things up at 4-4. Cabrera held a match point in the 10th game, yet Kontaveit fired a forehand winner to save it. Yet two games later, the Aussie converted when presented with another opportunity. She is projected to climb to a new career-high ranking of No.134 on Monday.